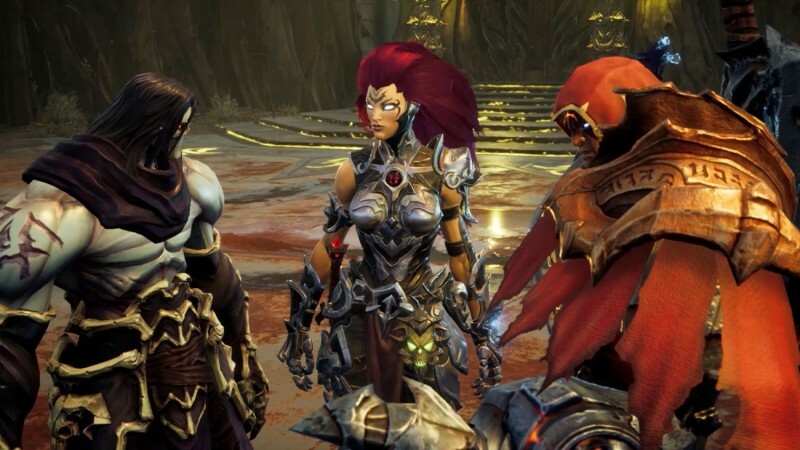 THQ Nordic and developer Gunfire Games released a new trailer for Darksiders III this morning, and while it's mostly a series of impressive action sequences and monster showcases, you also learn a little bit about the game's story. Protagonist Fury is up against against difficult odds in the third game, and it also looks like she will be spending some time with War and Death, the protagonists from Darksiders and Darksiders II respectively. Darksiders III is coming to PlayStation 4, Xbox One, and PC on November 27. For more on Darksiders III, head here for our hands-on impressions and here to listen to a piece of music from the game by composer Cris Velasco.